This is barely even a hack to the Barton Shorts! And yours will be even better, since the pattern includes pockets. 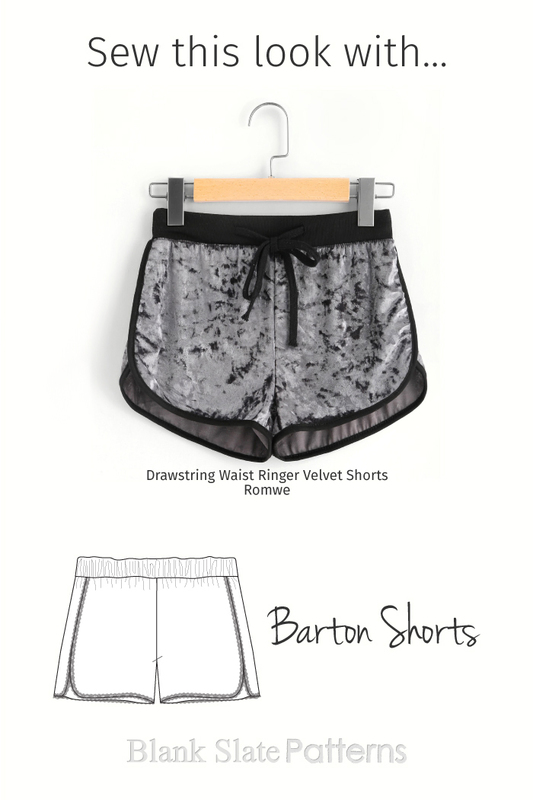 😉 If you want to add the drawstring, sew two buttonholes on the waistband piece before attaching it to the shorts.